With its avant-garde design, state-of-the-art facilities and magnificent views overlooking two golf courses and Dubai’s skyline, these residences inspire wellbeing, sophistication and a holiday atmosphere. This one-of-a-kind development is set to deliver a unique Banyan Tree experience to each of the homeowners. Discover the true beauty of this urban oasis with lush gardens and a splendid pond that capture the refreshing side of nature. These scenic lush landscapes are ideal for family picnics, yoga, meditation or just a walk in this tranquil atmosphere. Enjoy the Clubhouse - the perfect place to get involved in fitness and leisure activities and to live a healthy lifestyle. De-stress at the world-class fitness centre with state-of-the-art equipment, or try a friendly squash match on the court. Indulge in a resort-standard 31-metre infinity pool and sunbathe in the shallow water deck while you read, relax or socialize. Children at the Banyan Tree Residences will have their own dedicated swimming pool, ideal for keeping them cool. “Adventure Zone” is an outdoor play area, equipped with a climbing wall, a sandbox and other fun games to be enjoyed by the little ones. The "Sunshine Cove” indoor kids club is a purpose built indoor play area equipped with lots of activities to suit all ages. You chose a home that makes you fall in love with your life, day after day. Step into a harmonious combination of aesthetics and elegance. The wall-to-wall and floor-to-ceiling windows flood the residences with natural light, creating an extraordinary atmosphere within the 3.2 meters of clear ceiling height. Enter the residences through a triple height hotel-style lobby lounge, offering impressively grand proportions and a dedicated concierge service to provide Banyan Tree’s signature hospitality. Offering private gardens and double-height living rooms, the exclusive duplex garden homes are a sanctuary within the city. The penthouses offer some of the most spectacular living spaces available in Dubai. Each boasting a private built-in cantilevered infinity pool and an expansive open-air entertainment terrace. Occupying a complete floor, the 4.2 meter floor-to-ceiling height ensures a spectacular 360-degree view across two golf courses and Dubai’s skyline. A whole new meaning to the concept of luxury. Every bedroom features an en-suite bathroom, ample wardrobe space and operable windows. With over 3 meters of clear ceiling height you can enjoy the magnificent views through the floor-to-ceiling and wall-to-wall windows. Careful craftsmanship is evident across the entire residence; from the kitchens to living rooms, and bedrooms to bathrooms. From layouts to fixtures, the utmost care and know-how has been invested to build a modern urban experience with sophistication at the heart of every decision. When it comes to the finer details, no stone has been left unturned to craft uniquely designed homes that are true dream spaces. Every room in every home reflects a superior level of quality and attention to detail. From the smart layouts to the finest kitchens and sublime finishes, here architecture is designed from the inside out. Type 1A - 927 sq. ft. Type 1B - 904 sq. ft. Type 1D - 857 sq. ft. Type 2A - 1,471 sq. ft. Type 2B - 1,458 sq. ft. Type 2C - 1,445 sq. ft. Type 3A - 2,202 sq. ft. Type 3B - 2,341 sq. ft. Type 3C - 2,409 sq. ft. Type 4A - 4,072 sq. ft. Type 4B - 3,129 sq. ft. Memorable moments deserve panoramic views. Enjoy unmatched views over the iconic Dubai skyline and two lush green golf courses as they become the perfect backdrop to your life. 1. What information we collect and why? We may request personal information such as your name, mailing address, email address and, telephone number in order to enable you to register your interest in the Banyan Tree Residences Hillside Dubai and to allow you to be able to use certain features of the www.banyantreeresidences.ae website. Anonymous information collected may be analyzed in the aggregate to determine collective user characteristics, to understand user traffic patterns, sales information and user behavior on www.banyantreeresidences.ae. We also analyze traffic on www.banyantreeresidences.ae through the use of services like Google Analytics, which are respectively subject to Google’s Privacy Policies. By using www.banyantreeresidences.ae, you represent that you have reviewed and agreed to those terms as well. Banyan Tree Residences Hillside Dubai reserves the right to change the analytical service provider without prior notice to its users. 2. How we use the Information? In addition to creating an experience tailored to you, your personal information may be used to operate and maintain our service, as well as reach out to you on a requested basis either directly or through our representatives. 3. How we share the Information? We may share your personal information on the basis of a contract with companies, contractors and agents that help us run our business. We require that these parties agree to use reasonable safeguards to protect your personal information. These partners are not permitted to use the personal information they receive from us for their own purposes. We may share your personal information if we determine that it may be needed or requested to satisfy any applicable governmental law, regulation, investigation by public authorities, or proceeding. Should we receive a request from law enforcement, we will notify you unless prohibited by law. We take measures we deem appropriate to protect your information from loss, misuse, unauthorized access, alteration, disclosure or destruction. While we try to prevent unauthorized third-party access to personal information, we cannot completely ensure or warrant the security of the information you transmit, and you agree that you do so at your own risk. www.banyantreeresidences.ae does not knowingly collect personal information from children under the age of 13. If it comes to our attention that you are under 13, we will immediately terminate your account and delete all data you have shared with us. If you wish to access the personal information about you that is provided by you or believe any of your personal information needs updating, correcting, amending or deleting, please contact us. We will correct our records upon verification of the requested change. We may decline to process requests that are frivolous, jeopardize the privacy of others, or are impractical. 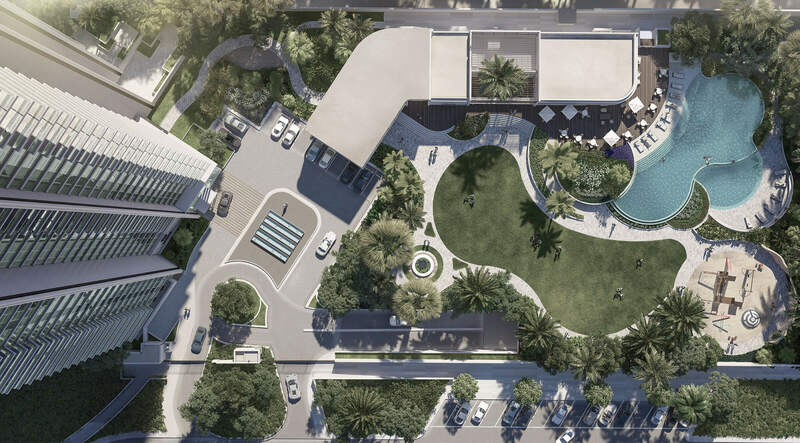 Banyan tree residences Hillside Dubai is developed by Sweid & Sweid Hillside Development under license from the Banyan Tree Group. Contents are for indicative purposes and subject to change.